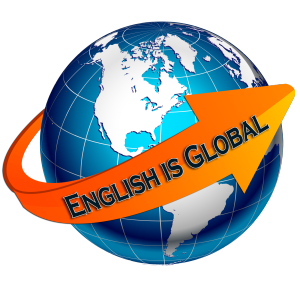 Home|Uncategorized|Why is English the money language? Why is English the money language? Why are you learning English? Is English a better language than the one you learned as a child? No, it isn’t. You are learning English because English is the money language, right? But why is that? Why is English such a global language? More people speak Chinese than English, so why aren’t we all trying to learn Chinese? Actually, there are two main reasons why English is the most important worldwide language. To understand why English is everywhere, we must review a little world history. The map below shows the British Empire in the 1800s. 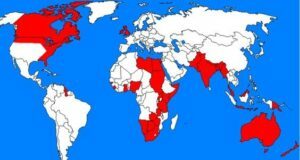 All the red areas on this map—other than Britain itself—were British colonies. 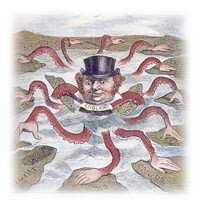 The British colonized foreign lands for power and money. Hundreds of years ago, Britain did this more than any other country. And of course, when they colonized new lands, they forced their language on the people who lived there. Today, pretty much all of those red areas are independent countries, with their own governments and their own flags. But the English language stayed. That’s why we speak English here in the US. We (the USA) started out as a British colony. You remember that from your world history class right? That brings me to the second reason English is such a global language: the influence of the United States. 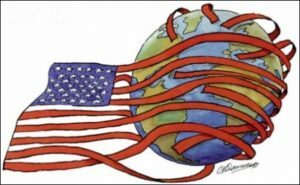 Since at least the 20th century, the U.S. has been the world’s leading economic power. Any business that wants to expand to many different countries will find English the most practical language to use. English is also the chief language of international academic conferences and international tourism. English is, and has always been the language of all international air traffic control. English is the main language of popular music and other forms of entertainment associated with technology. These are just some of the reasons why English has become the money language. But remember what I said: There’s nothing about English that makes it any “better” than your language, or any other. It is not easier, more logical, more beautiful, simpler in grammar, or larger in vocabulary. Will English be as important in the future? Will it be the money language for your children, and grandchildren? I don’t know, but I’m happy to help you learn English so you can make money today! Use Your Brain, Not Your Phone!